Researchers have been making tremendous progress in their efforts to understand the causes of autism, as well as which interventions may be most effective to help children with the disorder thrive. This work is especially critical as the number of children in the U.S. with autism grows. Approximately 1 in 68 children in the U.S. currently has autism, an increase of nearly 30 percent in recent years -- at least partly due to greater awareness and improved diagnostics. Experts in the field say there are a number of areas of research that could potentially change the lives of millions of families. Here are a few that are showing significant progress -- and promise. "There's been a lot of movement in genetics," Alycia Halladay, PhD, chief science officer at the Autism Science Foundation, told CBS News. Halladay says because autism advocates have supported a great deal of funding for this area of research, it's helped scientists make the discovery that the disorder occurs as a result of many gene expressions. This research has also helped to crystalize the fact that there are likely "many autisms" or at least many genes that drive the disorder. In the largest-ever autism genome study, published January in the journal Nature Medicine, researchers sequenced 340 genomes from 85 families with two affected children. The researchers focused on 100 different genetic variations in the genomes sequenced. They found 70 percent of siblings had little or no overlap in the gene variations that contribute to autism. By understanding the genetic blueprint of the autism, researchers can begin to develop more effective drug treatments, said Halladay. "We're only going to improve interventions if know about the biology of autism." "We're then trying to develop new drugs or actually use the drugs that are used for other treatments for autism," said Halladay. Researchers have identified genetic similarities between autism and tuberous sclerosis -- a rare disorder that causes tiny non-malignant tumors to form in organs and often leads to autism. Some preliminary research suggests a drug used for tuberous sclerosis could be useful for kids with autism. Other genetically-driven research suggests oxytocin, the "love hormone" could help kids with autism struggling with essential skills for social interaction. Research is finding autism may actually be caused by a fine interplay between genetic and environmental health factors -- a growing area of medical research known as epigenetics. "This could be really exciting because there are some environmental factors we can do something about," said Halladay. "We're just starting to recognize in the past few years that epigenetics plays an important role in autism. Last year there was study looking at brain tissue that shows there's areas of the genome of the brain that are methylated, which means they're turned on or off depending on the environment that they're in." Research is showing that certain stressors and environmental factors can activate certain genes. A study published this week in the Journal of the American Medical Association, for example, finds women who develop diabetes while pregnant are 42 percent more likely to have a child with autism. Another recent study links autism to prenatal exposure to two air toxins, chromium and styrene. Some of the most promising research has shown that early intervention is essential and can make a great deal of difference for an autistic child's development. A study published in September in the Journal of Autism and Developmental Disorders demonstrated that early intervention for children as young as 7 to 15 months who were already exhibiting signs of autism could significantly reduce or even eliminate their developmental delays in learning and language skills. However, one challenge is figuring out what type of intervention is appropriate for the child. In recent years, researchers have identified differences in the way the disorder manifests in boys versus girls. Halladay says girls tend to exhibit fewer repetitive behaviors. But girls with autism tend to have more severe symptoms and lower IQs. 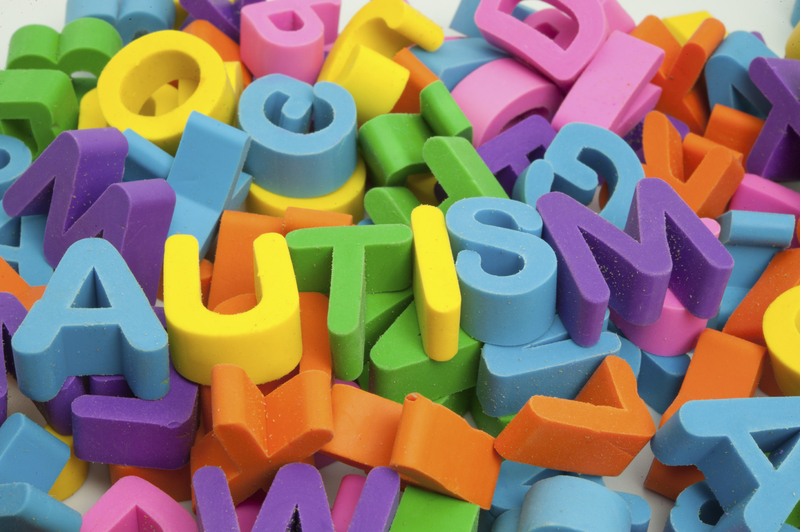 Approximately 1 in 42 boys and 1 in 189 girls are diagnosed with autism. However, some evidence suggests that clinicians may simply be missing the signs in girls. "It really hasn't been until the last year or year and a half that researchers have started to look at boys and girls with autism differently," said Halladay. "This could mean that girls may receive different interventions when clearly their symptoms can be different, maybe they need more gender-appropriate interventions." She added that the interventions that have been developed largely exist because of research conducted on boys. "So researchers are really starting to pay attention to what makes girls with autism different than boys with autism," said Halladay. "This can be really important. There's something protecting girls from the diagnosis. We know that they actually have a stronger genetic burden. They actually have more mutations than boys but somehow they aren't diagnosed as often." Halladay says one theory is that overall girls and boys develop differently. Girls are wired to be more vocal and have better language and communication skills. "Then you add autism onto that. It's not that they don't have symptoms. It's the symptoms of autism -- determined in boys -- tend to be very different."